Hope you've enjoyed this series on how to create wildlife habitats in your yard, school, place of worship and business. Let's add one more requirement - sustainable gardening practices. This means being aware of what you're using and under what conditions. Some people will choose to go the all organic route, while others may have a problem that may need to be addressed strategically with a chemical. Choose the most environmentally-friendly tool for the job and follow directions carefully. Avoid spraying on a windy day because you might contaminate your food and water sources. Now we’ve covered the essentials. Food, water, cover, places to raise young, sustainable gardening practices? Check! There's just one thing left to discuss: how to certify your wildlife habitat; it's incredibly easy. Visit the National Wildlife Federation Certify page and fill out the simple application form. There is a one-time fee of $20 which goes to National Wildlife Federation. You'll receive a personalized certificate with a number for your site, a subscription to the Garden for Wildlife e-newsletter, a one-year membership to NWF, a subscription to National Wildlife magazine, 10% off NWF catalog merchandise (great for items for your yard and gifts for nature lovers), and an option to purchase a sign designating your yard as a Certified Wildlife Habitat with National Wildlife Federation. Speaking of the signs, I highly recommend purchasing one. 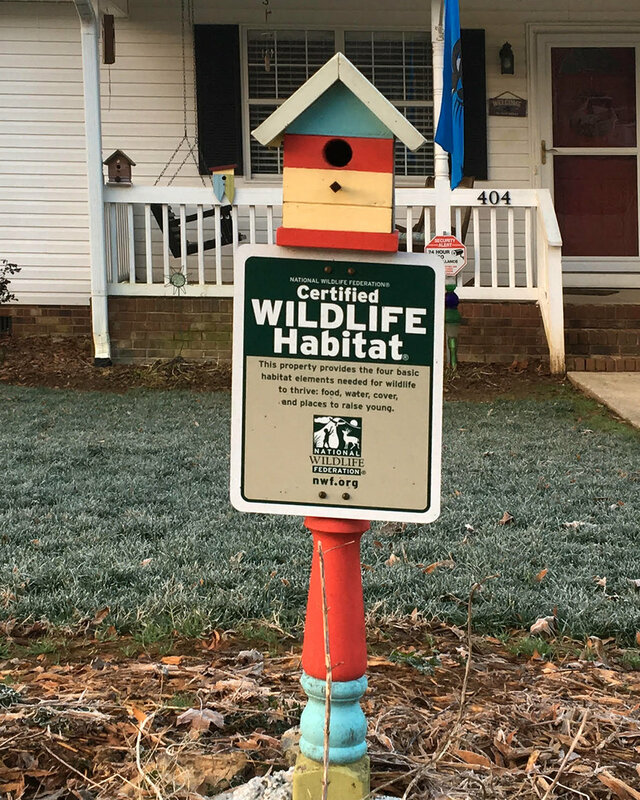 It's a great way to help educate your neighbors, clients, and anyone else who happens to pass by on how easy it is to provide habitat for wildlife. Prices range from $30 to $99. Check out the joint NC Wildlife Federation and National Wildlife Federation sign below with Ranger Rick! I also added a picture of the higher-end sign. Here's hoping that I see lots more of these signs sprouting up all over Matthews as more people jump on board! By now we’ve had enough of the February and March showers (fewer April showers, please) and the gardening bug is itching. Today we have five pretty spring flowers to brighten the waning winter landscape. Azaleas: Though the knockout roses have displaced the popularity of the azalea, there’s nothing more southern than a fiery hedge of azaleas in full bloom. Try a native variety such as Flame, Pinxter, Smoothleaf, and the rare Plumleaf, which blooms long after other varieties have faded. Carolina Heritage Nursery has several types and is often at the Matthews Community Farmers Market. Geraniums: Actually pelargoniums and not true geraniums, these colorful flowers popularly adorn front porches from early spring to summer. Make sure to cover them when a hard frost is coming. Scented geraniums have edible flowers and leaves and range from chocolate and nutmeg to orange and lemon. Dry the leaves for homegrown potpourri. Irises: Native flag irises are popping up to greet the spring, with other non-native varieties trailing behind. The deepest purple varieties are nearly black, offering serious drama for those who enjoy a little bit of edge. Have a low-lying wet area in your yard? The native Flag and Louisiana varieties don’t mind wet toes. Snapdragons: Not only do snapdragons add color and character to the garden, but the flowers make a gorgeous addition to bouquets for indoor arrangements. Why Grow Them? Snapdragon puppet shows are a favorite pastime for the Burke family, move their “mouths” and make them talk! Violets: We’ve already professed a love for the Violaceae family (violas, pansies, Johnny jump-ups) but right now the wild violets are putting on a spectacular show. Pro Tip: If you don’t spray your yard or have dogs peeing on them, go out and collect the leaves and flowers for a wonderful addition to fresh salads. My parents came for a visit last week (a “visit” where I use them for free labor and my dad’s construction expertise). I’m frantically trying to prepare my house for sale, no small task when my other half is away from home four days a week, and I have three small tornadoes destroying every room immediately after I’ve cleaned it. Mom and dad cleared more than a few things off of my list, though it still seems like there is stuff EVERYWHERE. All of the house projects made mealtime difficult, as we reached the end of each day too tired to think, so shortcuts were key to filling empty bellies this week. On Saturday I had a rare evening out with my friends to celebrate a birthday and see Captain Marvel. I ate what I wanted and no one stole my French fries. Travis made pork chops, spaetzle, and green beans for the kids, which my parents were also thrilled to have when they arrived Saturday night. On Sunday Grillmaster Burke made steaks. Cube the sweet potatoes and boil until they’re soft. Add ¼ cup of butter, a splash of milk, and a few tablespoons of real maple syrup. Mix until uniformly mashed. After Monday’s projects – which included deck repair, door replacement, and so much cleaning – I ordered takeout. Tuesday’s exhausting to-do list was followed by a rotisserie chicken with corn and noodles. Wednesday I succumbed to guilt over feeding my parents shortcut food, so I roasted a pork loin and squash and made mashed sweet potatoes. 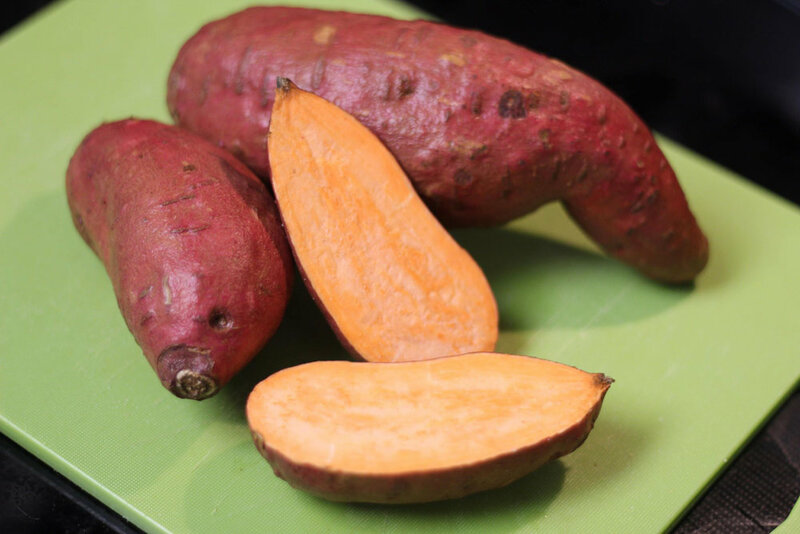 The secret to my sweet potatoes, beloved the family over: after boiling the potatoes until they’re soft I add ¼ cup of butter, a splash of milk, and a few tablespoons of real maple syrup. We pretend it’s still healthy – maple syrup is practically a vegetable, right? Travis arrived home on Thursday to chicken chili (thank you McCormick packet) and cornbread. On Friday we had pasta night, with the addition of sweet Italian sausage (baked from frozen for an hour at 350 degrees, then added to the sauce). It was a week of quick dinners, but I’m happy we managed to avoid fast food. We also managed to sit down at the table together each night (sans Travis for three of them). It’s the little victories. After my bout with bronchitis, I was hopeful that the illnesses were over…No such luck as my youngest came down with a nasty cold and decided the only cure was to attach himself to me like a barnacle. 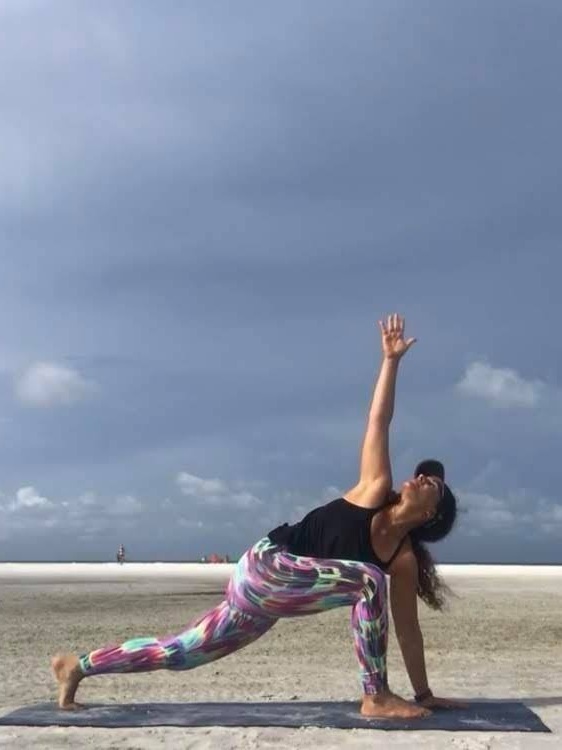 A common mantra among the self-help crowd is some variation on the idea that you get out of life what you put in. What goes around, comes around; self-fulfilling prophecies; positive mental attitude. So I wonder if my continuing declaration that 2019 is a rough year is making 2019 a rough year. And what does that have to do with food? My husband took dinner duty on Saturday with grilled pork chops, green beans, and spaetzle. Sunday I made roast beef with broccoli and noodles. We’re eating a lot of noodles these days. After my bout with bronchitis, I was hopeful that the illnesses were over and we could get through a busy week as planned – meals, activities, and meetings. No such luck as my youngest came down with a nasty cold and decided the only cure was to attach himself to me like a barnacle. Fortunately, my mother-in-law arrived on Monday (seriously, thank goodness for excellent in-laws), and she helped immensely with my older kids and getting my house in order. I went prepackaged on Monday with a frozen lasagna from Costco that was surprisingly acceptable! Tuesday we celebrated my sick toddler’s second birthday. I made some of his favorites in the hope he would eat some real food. BBQ chicken in the Instant Pot, corn, and (shocker) noodles. He ate virtually nothing. However, he did provide his only smiles of the week when presented with cake. Cake: the cure for everything! One of the things on my plate last week was Teacher Appreciation Week at my daughter’s school. I’m a person who really, REALLY appreciates my children’s teachers, and as Head Room Mom, I had quite a lot planned with a fun Outer Space theme! Wednesday was dessert day and I LOVE to bake, so I made Cosmic Brownies for the teachers, and – since my oven was already on – banana bread and pumpkin bread for my family. (My banana bread recipe is a favorite, found here.) For Cosmic Brownies I made a Ghirardelli boxed brownie mix and drizzled the top of the finished brownies with white chocolate colored blue, purple, and pink. In a Pinterest-packed frenzy I also made fruit rockets from strawberries and bananas. For dinner on Wednesday we went with beef tacos, accompanied by black beans, corn, lettuce, and cheese. Thursday and Friday we went simple with leftovers and pizza night. Another week survived. Now I’m putting out into the universe that the coming week will be amazing and all will go according to plan. Whatever works! In celebration of Women’s History Month, staff at Matthews Public Library have compiled a list of resources that enable you to explore the stories and experiences of women around the globe. You can also peruse the many Women’s History Month recommended reading lists available in our online catalog. 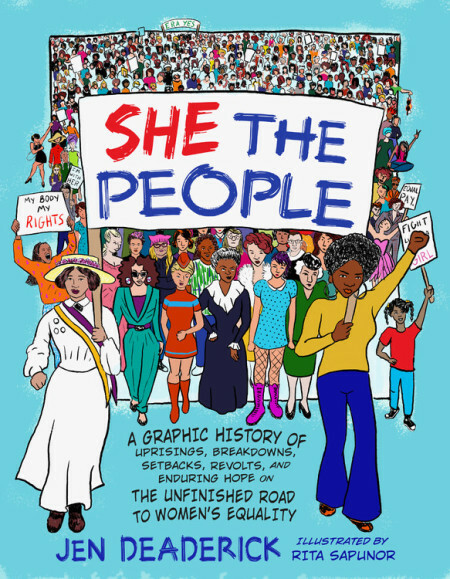 She the People: A Graphic History of Uprisings, Breakdowns, Setbacks, Revolts, and Enduring Hope on the Unfinished Road to Women’s Equality by Jen Deaderick is an entertaining look at the 35+-year history of the Equal Rights Amendment’s ratification by U.S. states. Learn about the women recruited by Britain’s elite spy agency to sabotage the Nazis in D-Day Girls: The Untold Story of the Female Spies Who Helped Win World War Two by Sarah Rose Crown. The Woman Who Smashed Codes by Jason Fagone tells the story of Elizebeth Smith, who worked with her husband, cryptologist William Friedman, to expose Nazi spy rings in South America. The Radium Girls: The Dark Story of America’s Shining Women by Kate Moore exposes a groundbreaking workers’ rights battle that came about after women who worked in the radium-dial factors during World War I fell ill.
Emancipation of Angelina Grimke by Katherine DuPre Lumpkin: Originally published in 1974, this biography tells the story of Angelina Grimke, 19th-century abolitionist and women’s rights advocate. The story of women who fought to bring their husbands, Vietnam POWs, home is told in The League of Wives: The Untold Story of the Women Who Took on the U.S. Government to Bring Their Husbands Home by Heath Hardage Lee. From the Vikings to the present, learn about womens’ roles in battle in Women Warriors: An Unexpected History by Pamela D. Toler. Jewish women’s influence on social activism is explained in America’s Jewish Women: A History from Colonial Times to Today by Pamela Susan Nadell. Celebrate the struggles and achievements of some amazing change-makers in A History of the World in 21 Women: A Personal Selection by Jenni Murray. Young women writers tackle big topics in Girls Write Now: Two Decades of True Stories from Young Female Voices. Interspersed is advice from women writers including Chimamanda Ngozi Adichie, Mia Alvar, and Zadie Smith. Get a glimpse of life for a 5-year-old girl who leaves Iran for refugee life in the U.S. in Taking Cover: One Girl’s Story of Growing Up During the Iranian Revolution by Nioucha Homayoonfar. Women who have contributed to our quest for space exploration are celebrated in Galaxy Girls: 50 Amazing Stories of Women in Space by Libby Jackson. Radioactive! How Irene Curie and Lise Meitner Revolutionized Science and Changed the World by Winifred Conkling addresses the lack of acclaim that history has awarded to these dedicated physicists. Learn about how a woman from Baltimore, Maryland became a hero of the Allies in The Lady Is a Spy: Virginia Hall, World War II Hero of the French Resistance by Don Mitchell. Learn about 50 influential women in Anthology of Amazing Women: Trailblazers Who Dared to Be Different by Sandra Lawrence. Celebrate inspiring women throughout history, from Ada Lovelace to Zaha Hadid, in The A-Z of Wonder Women by Yvonne Lin. Emily Roebling was married to the chief engineer of the Brooklyn Bridge construction. When her husband fell ill, she learned every aspect of the project and oversaw its completion. Learn about her in Secret Engineer: How Emily Roebling Built the Brooklyn Bridge by Rachel Dougherty. Hidden Figures: The True Story of Four Black Women and the Space Race by Margot Lee Shetterly is a wonderful children’s edition of the famous adult book that was adapted as a movie. You’ll be introduced to one of the first entomologists and scientific illustrators in The Bug Girl: Maria Merian’s Scientific Vision by Sarah Glenn Marsh. Wilma’s Way Home: The Life of Wilma Mankiller by Doreen Rappaport tells the story of the first female Chief of the Cherokee Nation. Never Caught: The Story of Ona Judge, George and Martha Washington’s Courageous Slave Who Dared to Run Away by Erica Armstrong Dunbar tells the story of Ona Judge, who escaped the Washington’s household and fought their attempts to reenslave her. The potatoes are a treat for me; my children torment their Irish and German ancestors by hating on potatoes and, as such, I don’t make them often. On Saturday my oldest son insisted we throw a surprise birthday party for his best friend who a) had already had a party, and b) hates surprises. My son was not to be deterred by these facts, so I made some macaroni & cheese, threw together a veggie tray, and ordered some cupcakes. Friends brought chicken to complete the meal. We all had a great time at the party no one actually wanted to happen. Sunday I was struck down by whatever illness is floating around my kids’ schools, so my freezer meals were tossed out the window. However, I pulled myself together just enough to put a pork shoulder in the Instant Pot with barbecue sauce, Worcestershire sauce, and cider vinegar; 90 minutes later we had pulled pork, paired with spaetzle and green beans. My husband’s job took him to Winston Salem for most of the week, and I felt like I had been hit by a truck, so after struggling through Monday I picked up Happy Meals and called it a night. All hail the red-haired clown. I found myself feeling slightly better on Tuesday, so I made an actual dinner of pulled chicken, green beans, and roasted potatoes. The potatoes are a treat for me; my children torment their Irish and German ancestors by hating on potatoes, and as such, I don’t make them often. Peel potatoes, cut into 1-inch squares. Coat with olive oil and sprinkle with garlic, crushed rosemary, salt, and pepper. Roast at 425 for 20 minutes, increase to 450 for an additional 10. They’re ready when they start to brown. Travis made his triumphant return home on Thursday. A better wife would have made a welcome home dinner, this wife (who was still sick) ordered a pizza. Today I went to the doctor and learned I have bronchitis. Armed with this information and some medicine I have higher hopes for getting my act together next week. As for dinner tonight, we have yet to have the circular “I don’t know, what do you want to eat?” conversation, but I’m already leaning pasta. Weeks like this one remind me why a plan is a wonderful thing to have. Norah’s Simple Roasted Potatoes: Peel potatoes, cut into 1-inch squares. Coat with olive oil and sprinkle with garlic, crushed rosemary, salt, and pepper. Roast at 425 for 20 minutes, increase to 450 for an additional 10. They’re ready when they start to brown. The Beacon celebrates 6 months strong this week, and we took the opportunity to revisit our intentions. Presenting: Five Pieces of Beacon—a glimpse into what we cover and why we cover it. Which characteristic resonates most with you? Matthews is Giving. 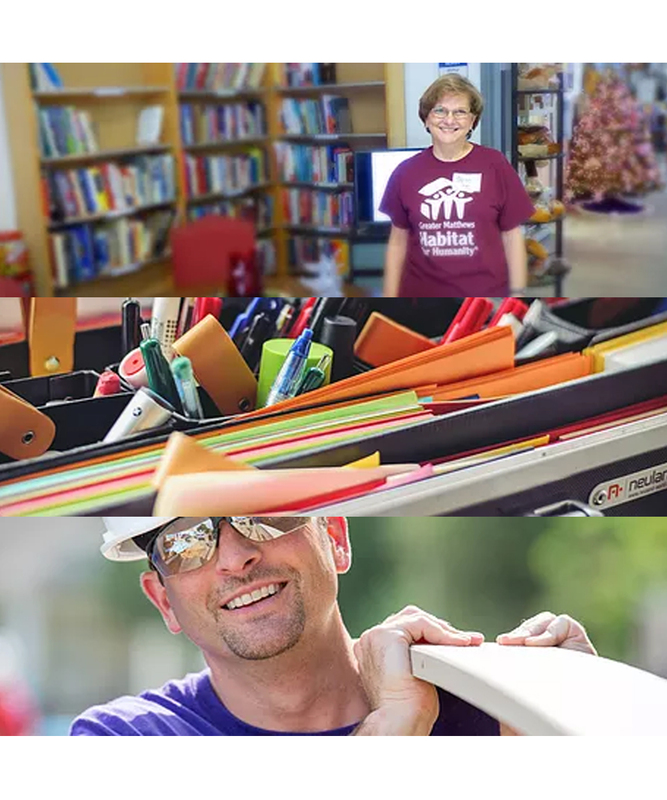 With hundreds of nonprofits in Matthews, the support for philanthropy is significant. 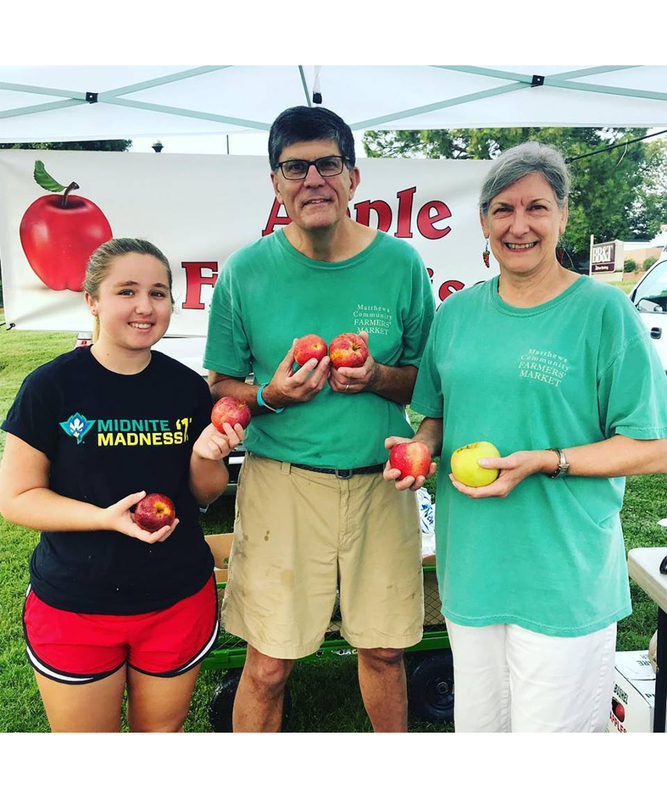 Matthews is Community: Through togetherness, whether familial or neighborly, recognizing and recovering the lost art of sharing the untold stories of the people around us. Matthews is History: We embrace and explore the town’s rich history, celebrate our agricultural roots, reflect on our segregated past, and examine the uncharted growth carrying Matthews forward. Matthews is Engaged: Local government is accessible to the people, for the people. 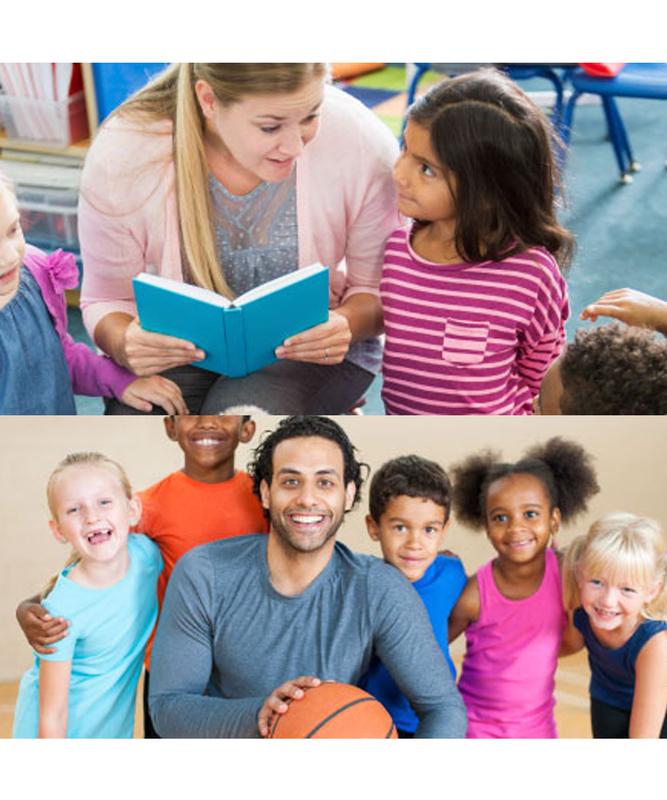 Matthews is Enriching: From environmental initiatives and personal hobbies to cultural activities, people enjoy learning and doing. As always, my husband and I do our best in the name of elusive family togetherness. Thus far, 2019 has been a rough year in the Burke house (and it’s only February!). Sometimes the hits just keep on coming and it can be difficult to find your feet again. This is where I find myself at present. It’s hard, then, to do things like plan a week of healthy meals and get everyone to the table. As always, though, my husband and I do our best in the name of elusive family togetherness. I have also been unable to make it to the Farmer’s Market for a few Saturdays now, but I maintain the hope that tomorrow will be the day. So on to the week! We had a full house on Saturday as we offered to feed our neighbors’ kids while they worked on an important home project. With six kids around the table, Travis grilled hamburgers (he is a hamburger master), served with broccoli and noodles. I would share his special hamburger spice blend, but he won’t even share it with me, alas. Sunday was another big group dinner. In cleaning out our freezer we discovered a giant pack of steak that was an all or nothing defrosting endeavor. We invited our friends to join us for sweet potato fries, green beans, and grilled steak. Travis put on his chef hat once more and handled it all. We went the easy route with fries we also discovered in the freezer, but when I’m feeling ambitious I slice up sweet potatoes into eight sections each, coat with olive oil, and sprinkle with salt, pepper, garlic powder, and chipotle chili powder if we’re feeling spicy. Roast at 425 for 20-30 minutes, until the outsides are crisp and the insides are soft. I returned to an old staple on Monday with a chicken stir fry and rice. Tuesday I threw together pork chops, egg noodles, and corn as it was just me and the kids. My older children eat dinner at church on Wednesday nights before choir, so Travis, the toddler, and I took out leftovers that night. Thursday night was pasta night, and tonight I’m thinking I’ll change my plans to something hearty and warm to stave off this ridiculous weather. Chili or a stew of some kind. This weekend I’m going to try my hand at making a supply of freezer meals. My husband is headed off to Winston Salem for work, leaving me to manage our circus alone for awhile. I’m hoping an ounce of preparation (and the help of the world’s best friends) will help me maintain just a tiny bit of sanity. Tune in next week to find out! In recent weeks we’ve discussed how to provide food and water. In this article we’ll look at providing cover and places to raise young. Just as with food and water, these elements can be natural or man-made. Cover gives an animal a place to escape predators. Trees, shrubs, rock piles and brush piles are great examples of places to dart into cover. Think about proving cover at different levels, from the ground up. Using native plants can give you cover as well as food, so you get a double benefit. They can also provide nesting sites for those animals who use trees and shrubs. Man-made cover and places to raise young are the many boxes available. Examples include houses for bats, owls, birds and bees, just to name a few. Do your research to find out how to provide appropriate housing for whatever you’re trying to attract. Bat houses have to be at a certain height and face a certain direction. 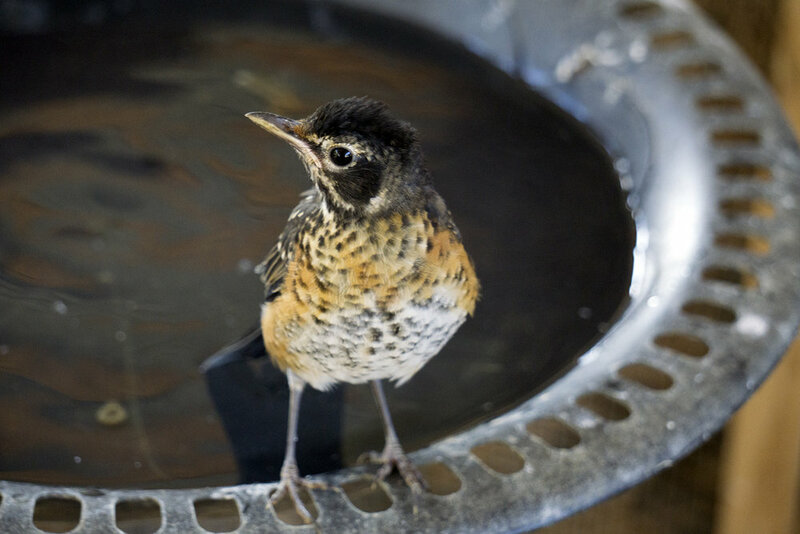 Particular species of birds require boxes of a certain size and the hole must be a specific diameter. Birds generally prefer to have cover behind (but not touching) the box, with open area to the front. You can even make a toad abode by turning a terra cotta flower pot on its side so that the toads have easy access to a cool place. In short, think like the wildlife you’re trying to attract. Location and protection is very important to wildlife. Next time you’ll find out how to certify your wildlife habitat and how you can order a sign. One of the charms of Matthews, apparent by the continued success of Renfrow Hardware, is the remnants of the farm community it once was. While farmland becomes housing tracts, there are still symbols of the past dotted throughout the community. McEwan Moore Farmhouse: Built in 1887, probably moved to its current location. Designated historic site, currently owned by LibertyHealthcare Properties of North Carolina LLC. The Overcash Barn: Presumably built circa 1921, at the same time as the home next to it. The barn sits on a parcel rezoned in 2018 (application 2017-663) and now owned by Willton-BB Matthews Owner LLC. The property was approved to become a 350 unit multifamily development. The Helms Farm: This farmland was bought in the 40s from the Stillwell family, originally owned by the Harkeys. The barns were probably built around the same time. Hickory Hill Barn: There’s little on public record about this structure, but probably was built around 1960.